Dorothy Mason MacDonald, of Georgetown, MA, passed away peacefully Tuesday, August 21, 2018 at the Anna Jaques Hospital, Newburyport, MA after a lengthy battle with cancer. Dottie was born in Newburyport on June 21, 1940 to William “Ed” and Dorothy (MacPherson) Mason of Newburyport. She was the granddaughter of the late John F. and Theresa Riley MacPherson of Cambridge, MA and the late Archibald and Roseanna McHugh Mason of Newburyport. Dottie was a lifelong communicant at Immaculate Conception Church. She attended school in Newburyport. 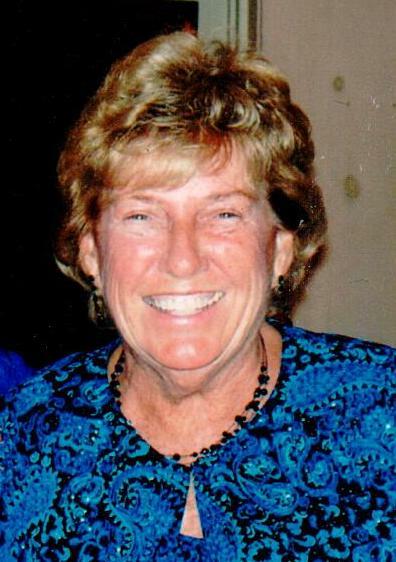 During her high school years she served as a class officer and was a very active and proud member of the Newburyport High Class of 1958. She graduated from Salem State College in 1962 with a Bachelor Degree in Elementary Education. She began her teaching career as a third grade teacher at the Davenport Elementary School in Newburyport and taught there until it closed. She then taught second grade at the Belleville Elementary School and remained there until her retirement. Dottie was a beloved teacher. She loved each child she taught, remembered special things about each and every one, and remained connected to them and to their families long after they left her classroom. In her college years Dottie traveled a great deal, including one summer spent driving across the United States and Mexico with college friends, camping out along the way. Further travels included North American, Caribbean and European trips. But her favorite place to visit was the Pennsylvania Dutch country where she and her husband spent a great deal of time. Her travel continued with her family once her children arrived. She had a great sense of humor and would regale everyone with tales of her latest adventure. Everyone will agree, Dottie loved to laugh. She was a lifelong learner and read continuously. Upon retirement she joined a book club with her fellow retired teachers. She enjoyed gardening and crocheting and made beautiful quilts. One of her favorite activities was to organize reunions and get-togethers for her Class of 1958 which she did from 1958 to 2017. Dorothy is survived by her husband of 48 years, Herbert T. MacDonald of Georgetown, her son Ian (Jasmine) MacDonald, her three granddaughters, Bailley, Quinn and Devynn MacDonald, Newburyport, her sister Kathleen (Richard) Hordon, Newburyport, her nephew Richard (Kim) Hordon, Hampton Falls, NH, her niece Hillary (James) Mirageas, Newburyport, her great niece and great nephews, Riley Kathleen and Richard J. Hordon, Zachary J. and Benjamin J. Mirageas, several cousins and many dear friends. She was predeceased by an infant son, Herbert and her daughter Katharine “Katy” MacDonald. Family and friends may call on Thursday August 23, 2018 from 4:00 to 8:00 PM at the Twomey, LeBlanc, & Conte Funeral Home 193 High St. Newburyport, MA 01950. Parking available behind the Funeral Home. Her Funeral Mass will be celebrated at 10:30 AM on Friday August 24, 2018 at Immaculate Conception Church, followed by burial at St. Mary Cemetery both in Newburyport. In lieu of flowers memorial contributions may be made in Dorothy’s name to the Katharine L. MacDonald Scholarship fund ℅ Georgetown High School 11 Winter St, Georgetown, MA 01833.